Bed frames, meaning the headboard, footboard, and the side rails that all connect together and wrap around our mattress, are one of the most important pieces of furniture in our home, considering we spend a third of our lives in bed. Your bed is the most actively used piece of furniture you can own. They can be crafted from wood, metal, upholstered, or a combination of unique materials. These days, we typically purchase our mattress separately, and then spend some time picking out the perfect bed frame to finish off the whole package. Purchasing the right mattress is important. However, buying a bed frame is also key for having a good night’s sleep. When buying a bed frame, there are many considerations that will add to the longevity of your mattress, too. However, the difficulty in creating the right decision is due to there being so many different types available. This leads to a variety of factors that one must consider before going shopping, such as the size and dimension, as well as the material. Other things to consider are the decorations of the room as well as the budget that you have available. 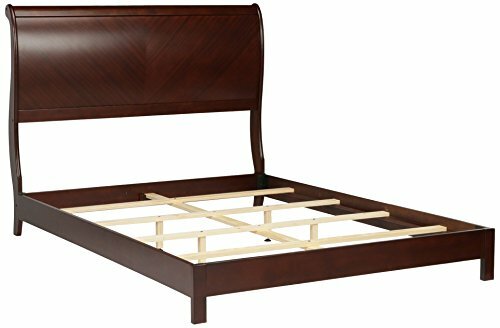 Shopping online is easy, since most bed frames can be shipped via ground shipping in pieces and parts that are a snap to put together. 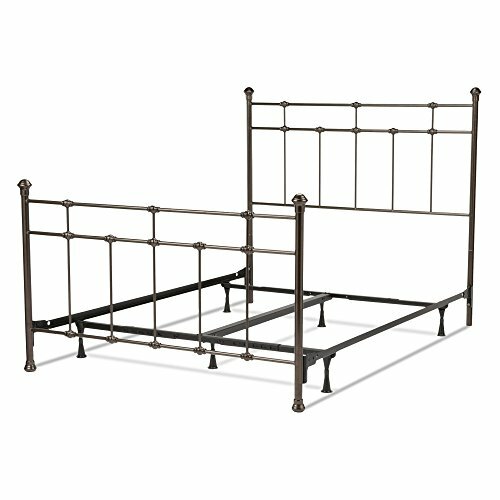 What bed frame sizes and dimensions are best? Before buying a bed frame, you should spend time considering the bed frame sizes and heights available in the market. If you have already purchased a mattress, let's say a queen size, then you're likely aware of the confines, and you can measure off the space in your room, mainly paying attention to how much room you will have walking around the foot of the bed, and also the size of your headboard, too. You may want to hang a sizable piece of art above it, in which case you'd need a low profile headboard vs. a taller, more elaborate poster or canopy bed frame. The height of the bed frame may also vary as well. It is important to consider how tall you are in this case, as you will may want to purchase a bed frame that requires you to climb up into the bed rather than simply stand alongside and fall into it. In the industry, its called "transfer", and its very important. Ideally, you should be able to stand alongside your bed, and sit on the edge without bending your knees significantly. Calibrating this is a function of mattress and foundation (box spring) height, and the bed frame height, which is often adjustable by modifying or setting the position of the leg height as you install the bed frame. Changing sheets is a factor also. If you are able to climb up onto a more elevated mattress and foundation piece, and are nimble enough to install your fitted sheet from above, that's great. If you need to walk around and tuck all of the corners, consider the logistics. Furthermore, buying a bed frame may be dependent on the available spacing in the room. Allow ample room for other pieces of furniture like end tables, media furnishings, and dressers, etc. If you have already purchased a mattress, and you are only seeking to buy an additional bed frame, then you may want to place the available mattress on the floor and walk around it, to establish a footprint of your room. This may help you get an idea of the space that the bed will fill. There are a variety of materials used in today's headboard and bed frame components. Wooden bed frames were first created in the 14th century. Simple wooden designs were meant for the poor, while carved wooden frames were for the rich and royal. 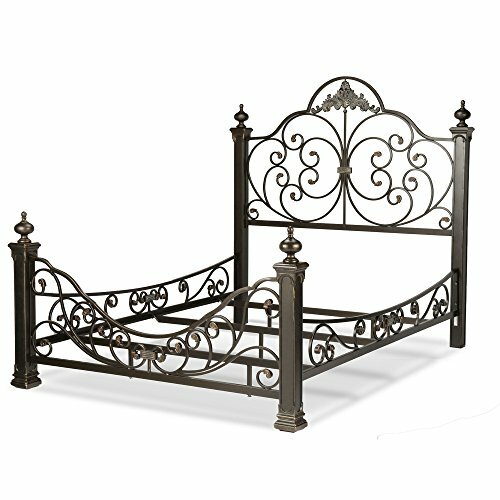 However, during the 19th century, bed frames made of iron or steel were more preferred as they solved many problems such as avoiding lice and insects, which wooden frames often carried. Back then they were simply considered cleaner as well as safer. Today, however, wooden material is just as popular as metal. Wood is always earthier and warmer, but metal has a solid industrial vibe which is very popular these days, and an upholstered headboard is soft and inviting and embracing in feel. However, due to the wide variety of options, selecting the right material can make your head swim. You can scroll down to our list of recommended dealers that we've put together for you. We've narrowed down the choices after reviewing dozens of bedroom furnishings retailers, and found what we believe are a great sampling of companies with bed frames that are unique, reasonably priced, and extremely durable. 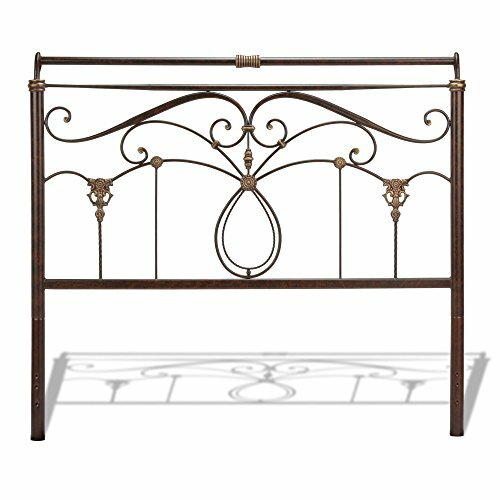 The type of bed frame will also depend on the look that you are trying to achieve. For example, wooden frames tend to add depth and character to any room. 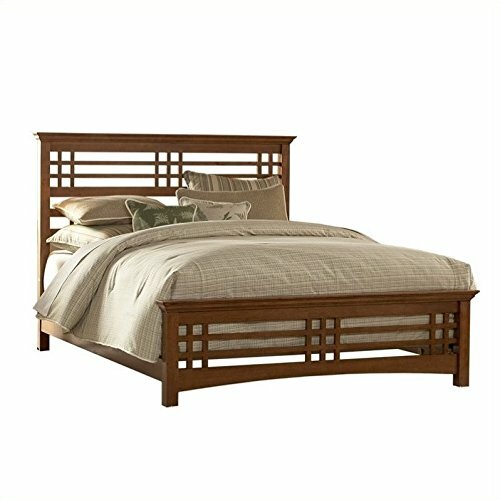 Every solid wood bed frame also tends to be unique based on the texture of the wood and the slight variations in color. Some of the most common types of wood materials used are oak, mahogany, pine, walnut, maple and more. Bamboo is hugely popular, since it is a "green" wood, as it is a sustainable material. 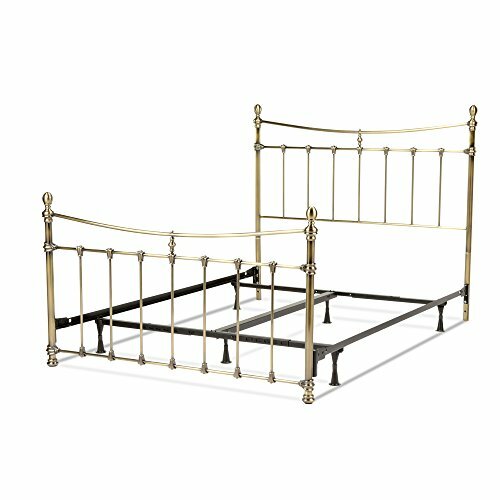 However, if you are looking for something more modern and sleek, then metal bed frames may be the way to go. As far as maintenance over the long haul is concerned, metal would be virtually care free, other than dusting and occasionally hitting it with a metal cleaner or polish. Wooden bed frames are also in need of occasional wiping down, and can discolor is exposed to strong sunlight. Upholstered beds are less forgiving when it comes to liquid spills or splashes, especially red wine, and may need to be treated with an upholstery cleaner now and then. When you start considering the type of bed frame to purchase, you may even want to look at the bedroom interior design. Generally, you should be looking for a frame that suits and compliments the rest of the room and furniture. Sometimes they can also be selected to be the centerpiece of the room, rather than simply an accessory. They may even be selected to give more warmth to the room. Before you take a look at our premium list of vendors below, here are a few valuable tips to keep in mind when shopping for the perfect bed frame. Buy from a retailer who has a trial period, allowing you to return the bed frame at no charge, preferably with no return ship charge, after a reasonable period of time, in the event you don't like the frame, or are dissatisfied with it. Get a warranty of at least 10 years with any bed frame you buy, and if you can, a full replacement component in the event of failure that lasts for at least a year or to during the warranty. Free shipping should always be included for a bed frame. If you find something you really like and there is a shipping charge, negotiate with the retailer, and you can likely get free shipping. In the event your bed frame is a RTA (ready to assemble) kit bed frame, make sure you ask what tools may be required for assembly, so you can be prepared. Most of the bed frames we recommend below are easy to assemble within 15-30 minutes. Find a handyman in your area to assemble the bed frame. It's totally worth it, and these guys and gals can assemble it much faster than you can. We recommend metal bed frames made by Leggett & Platt since we sold them ourselves for years...made in the USA, sturdy and durable. Make sure you have a mattress foundation to place beneath your mattress as required.